The Love frequency 528 Hz is part of the six sacred Solfeggio tones, core creative frequencies of the Universe. 528 Hz is also known as the “Miracle” tone. According to Dr. Leonard Horowitz, a pioneer in the search for the “lost” Solfeggio frequencies, 528 Hz resonates at the heart of everything that exists in the Universe, including the sun, pyramids, circles, squares, rainbows and snowflakes. Dr. Horowitz further argues that “the geometry of physical reality universally reflects this music”. The Love frequency is therefore central to the “musical mathematical matrix of creation”. Math scientist Victor Showell also describes 528 as fundamental to the ancient Pi and Phi (“Golden ratio”) evident throughout natural design. In ancient and advanced traditions, priests and healers used the Love frequency to manifest miracles and produce blessings. In fact, recent scientific discoveries, as shown in the French documentary film “Les bâtisseurs de l’ancien monde” (“Builders Of The Ancient World”) by Patrice Pouillard/Jayan Films (2018), prove that 528 Hz is the sound frequency found in some caves in Barabar in India as well as in the King’s Chamber of the Great Pyramid of Giza in Egypt. According to Dr. Horowitz, 528 Hz is a “Universal healer” and shall be combined with water, the “Universal Solvent”, to advance “the future of medicine”. Dr. Masaru Emoto, pioneer in the field of “micro-cluster crystallography”, conducted years of research sending both positive intentions and 528 Hz frequency vibrations into water. Dr. Emoto experimented the Love frequency on polluted water and witnessed incredible results. He actually filmed the molecular structure of water changing from disorganized arrays of crystals in polluted water, into beautiful snowflake designs. According to Dr. Emoto, the snowflake designs include visible “messages” as if the water was actually “conscious”. His results are published in dozens of languages, and particularly in his New York Times best seller book “The Hidden Messages in Water” (2005). If you take into account the fact that our bodies contains 65% of water on average, you can imagine the strong potential healing effect 528 Hz can have. Your DNA, is not set in stone, it can change; this is a fact that is quite well established in the molecular biology community with notable studies by Hartman (1975) and Wintersberger (1991). In October 1996, in his research paper on the “Effect of conscious intention on human DNA”, Dr. Glen Rein discovered that loving energy sent through intent has conformational changes on DNA. When in the presence of loving energy sent through intent, the DNA molecule actually unwound and began to heal itself. Beside, the DNA molecule began to heal itself only when sent the energy of love through conscious intention, and did the opposite when sent thoughts of tension and anger. DNA can change and our conscious intentions have an effect on it. Love heals! What about music? 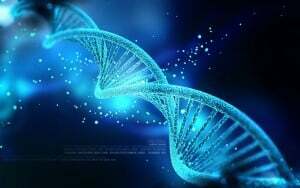 Can sound and vibrations affect DNA? In 1998 Dr. Glen Rein of the Quantum Biology Research Lab in New York performed experiments with in vitro DNA. Four styles of music (converted to non-Hertzian “scalar” acoustic waves) were played for 1 hour, via a CD player, to test tubes containing in vitro DNA. The music included: Rock music (mixture of hard and soft rock), Classic music (mixture of several composers including Bach), Hungarian Gregorian chants (Magyar Gregorianum) including 528 Hz and the other Solfeggio frequencies, and Sanskrit chants (Om Namah Shivaya from the Syda Yoga Foundation). The effects of the music were determined by measuring the absorption of UV light of the DNA test tube samples after an hour of exposure to the music. A positive value (increased absorption) is due to denaturation (unwinding) of DNA, whereas negative values reflect DNA winding. Results showed that Gregorian chants including the Love frequency had caused a 5.0% and 9.1 % increase in the absorption of UV light in two separate experiments, due to the unwinding of the DNA helix. Sanskrit chanting caused a similar 8.2% and 5.8% effect in two separate experiments. However, Classical music caused a 1.1 % increase in absorption, and Rock music caused a 1.8% decrease in absorption, indicating no effect. Therefore, while Rock and Classical music do not affect DNA, sacred chanting music produced a large unwinding effect on DNA. Although these experiments were performed with isolated and purified DNA, it is likely that the frequencies associated with these forms of music will also resonate with DNA in the body. Dr. Rein concluded that the ability of certain types of music (including 528 Hz and the Solfeggio tones) to resonate with DNA “offers a new and novel mechanism for the healing action of music”. If the potential of sound positively effecting our lives is obvious, and the potential for 528 Hz and the other Solfeggio frequencies affecting DNA may have some scientific validity, there needs to be more research to support the claim about 528 Hz repairing DNA. The potential healing of the Love frequency is huge. In 2009, Dr. Horowitz produced an event called “Live H2O: Concert for the Living Water” in which groups from 72 countries participated by singing and chanting in 528 Hz, praying for all polluted water to be blessed worldwide. 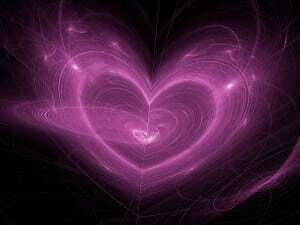 What if we all started to use this Love vibration today? What if this healing frequency was the key to global harmony and peace? Some famous musicians and singers are already using the Love frequency in their works. In 2011, multiple Grammy Award nominee Amerie produced her new album entitled “Cymatika, Vol 1” in 528Hz frequency… So what are you waiting for? 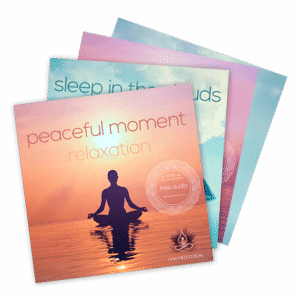 At Gaia Meditation, we have developed a variety of free audio tracks based on the 528 Hz frequency. It includes: relaxation music, sleep music, meditation music and plenty other Sound Healing programs.